To Your Health! will be rewarding associates who make moves toward better health through the Associate Health Improvement Program. In this program, eligible* Montefiore associates will be paid $100 for each verified improvement made towards healthier results in four different biometric areas, BMI, Cholesterol, Blood Pressure & A1c. 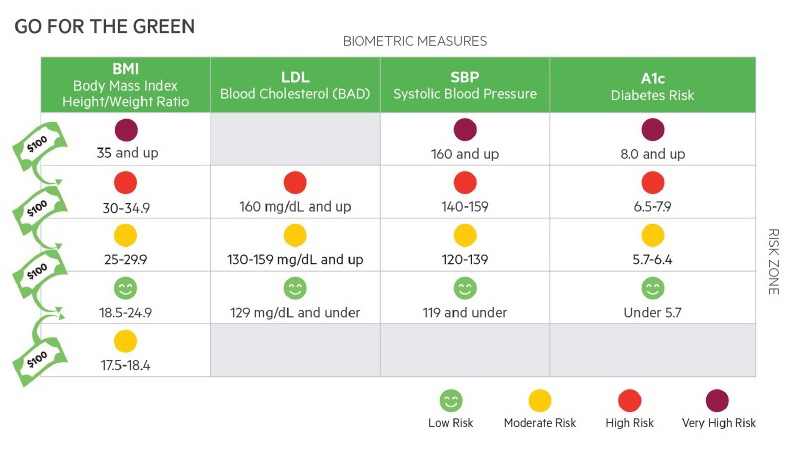 An associate that moves from the highest risk zone to healthy in all four biometric measures can earn up to $1100! Now, not only can you feel better and improve your overall health, you also get paid for all your hard work! Upload your lab values by having a provider or Occupational Health Services fill out the US Wellness provider form. Read all the rules of the Associate Health Improvement Program (A-HIP) HERE.